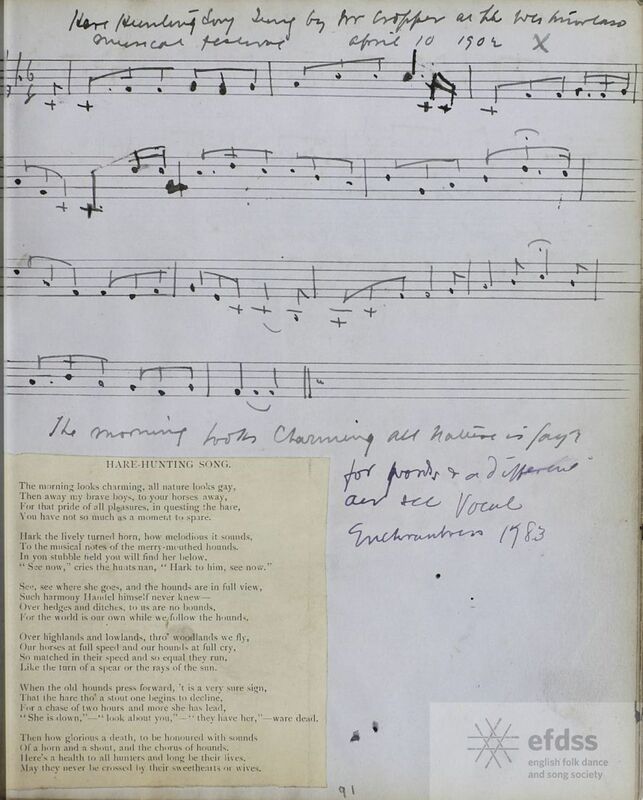 Inspired to learn the song by the Watersons’ version (under the title ‘The Morning Looks Charming’) on their 1966 LP A Yorkshire Garland, I subsequently had the words from Roy Palmer’s English Country Songbook. 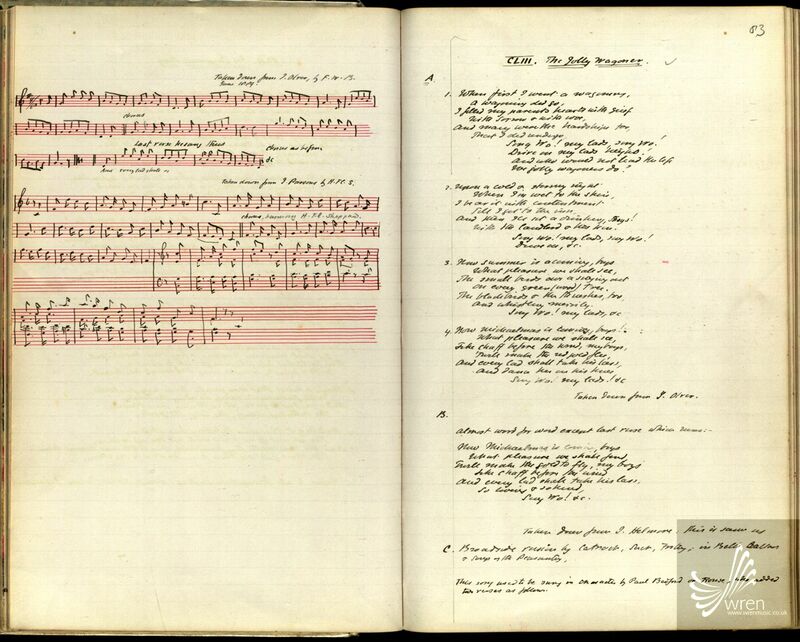 The song was collected by Frank Kidson in Westmorland in 1902, from a Mr. Cropper – and here it is from Kidson’s manuscript, now available on the EFDSS Full English site. 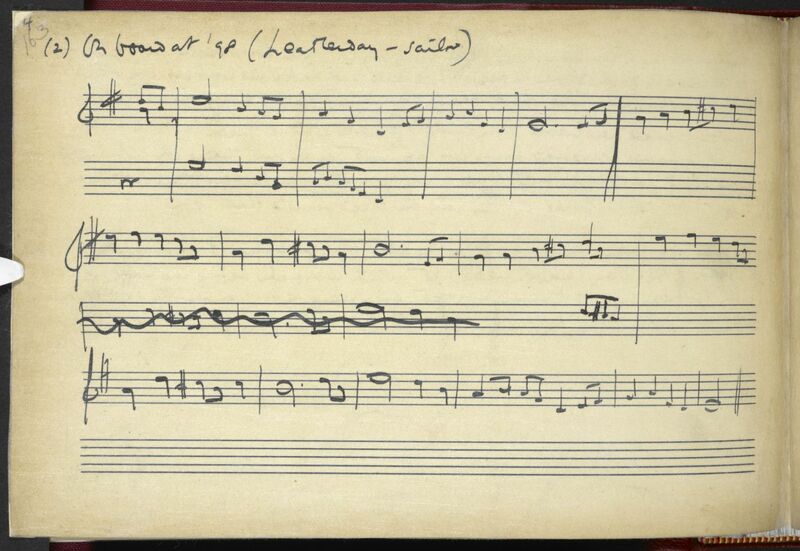 Hare Hunting Song, from the Kidson MSS, via the Full English archive. The song has also been collected in Cumberland and Yorkshire – from the singing of the famous Holme Valley huntsmen. But looking at the Roud index it’s clear that this is not a peculiarly Northern song, a version also having been collected at Brize Norton in Oxfordshire. Frank Kidson’s handwritten note on the MS copy above led me to The Vocal Enchantress. 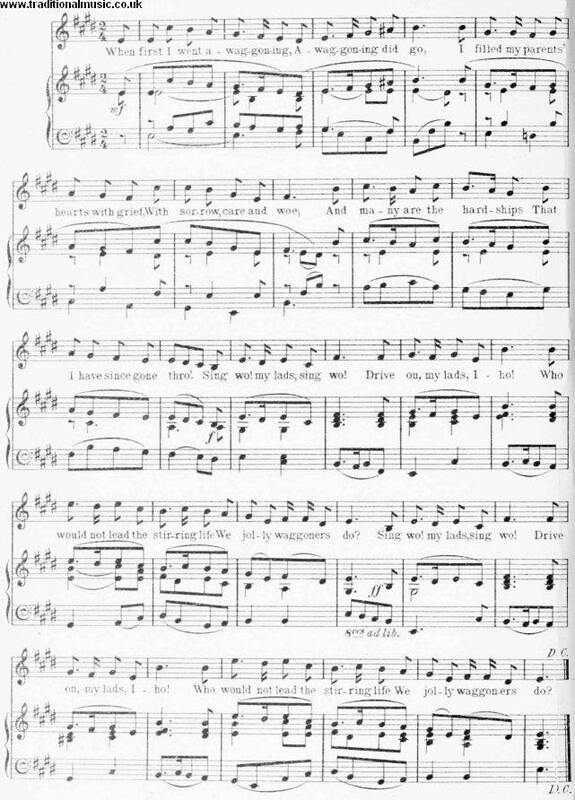 Presenting An Elegant Selection of the Most Favourite Hunting, Sea, Love, & Miscellaneous Songs, Sung by Edwin, Bannister, Webster, Mrs. Cargill, Mrs. Kennedy, Mrs. Wrighten, &c. &c. &c. With the Music prefixed to each (1783). And here indeed is our song, in Part 1 pages 38-39.